Make white sauce from first five ingredients. 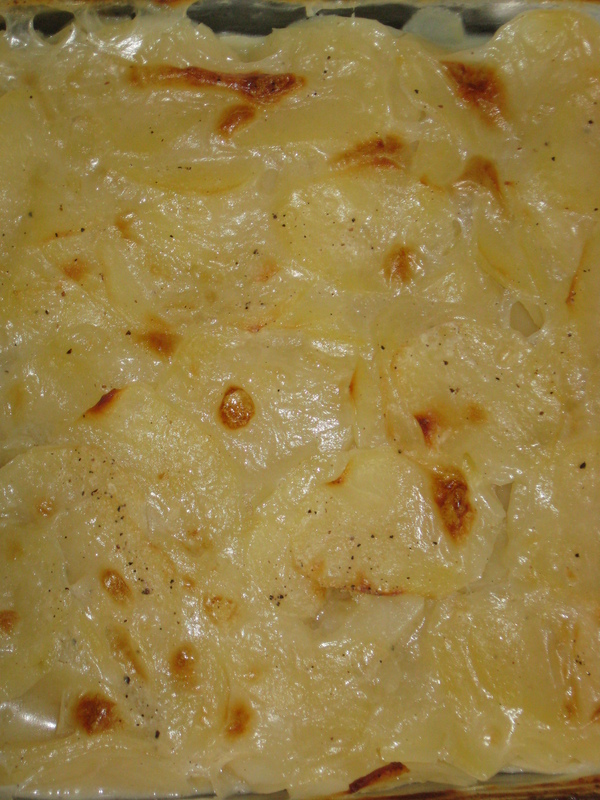 Place potatoes and onions in 9 x 13 inch pan or casserole dish. Pour white sauce over top. Cover with aluminum foil or lid and bake for 2 ½ hours. Uncover for the last 1/2 hour. For 8×8, cut the recipe in half.